Preferred weapon: Any and all. 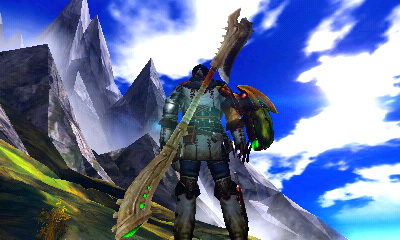 Prefered weapon: Insect Glaive, Long Sword, Dual Swords and Lance. Last edited by Kesskuron on Sun May 31, 2015 3:15 pm, edited 26 times in total. 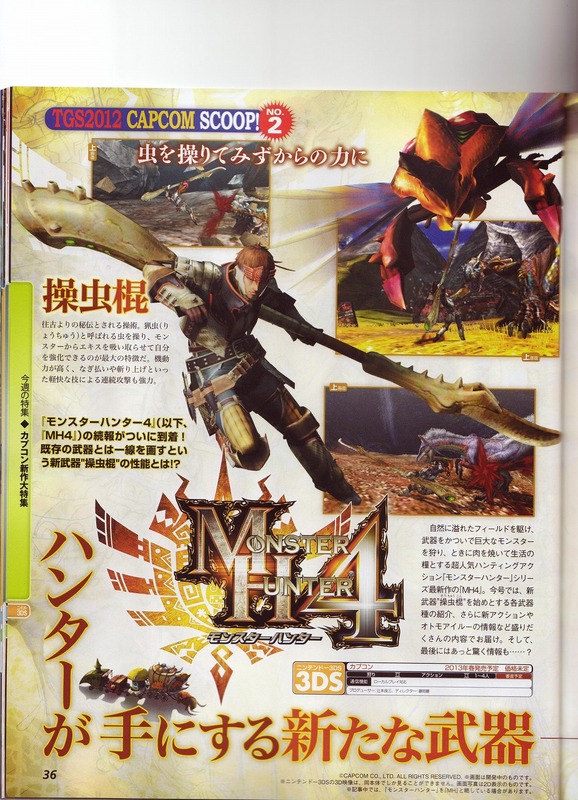 Monster Hunter wiki wrote: Monster Hunter 4 is a new game being produced by Capcom. 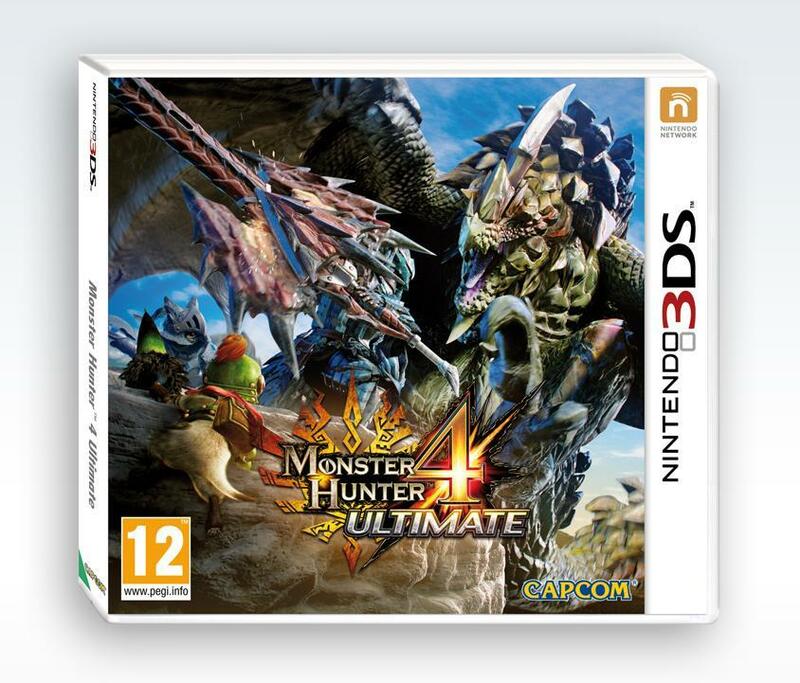 It is the second game in the Monster Hunter series to be released on the Nintendo 3DS. Details and information about it are currently scarce; only a teaser video and a short trailer have been released by Capcom. 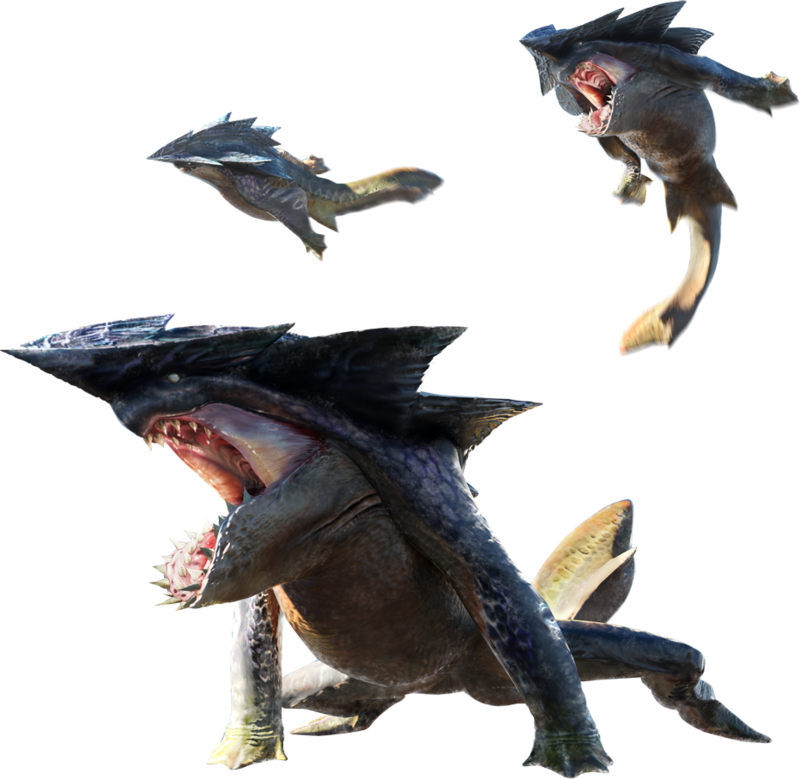 These videos both show numerous updates; there is a stronger emphasis on platforming than before, walls can now be climbed more fluidly and in any direction, and for the first time Hunters can grab onto monsters and attack them. Environments shown also appear to be larger than before - possibly even open-world. 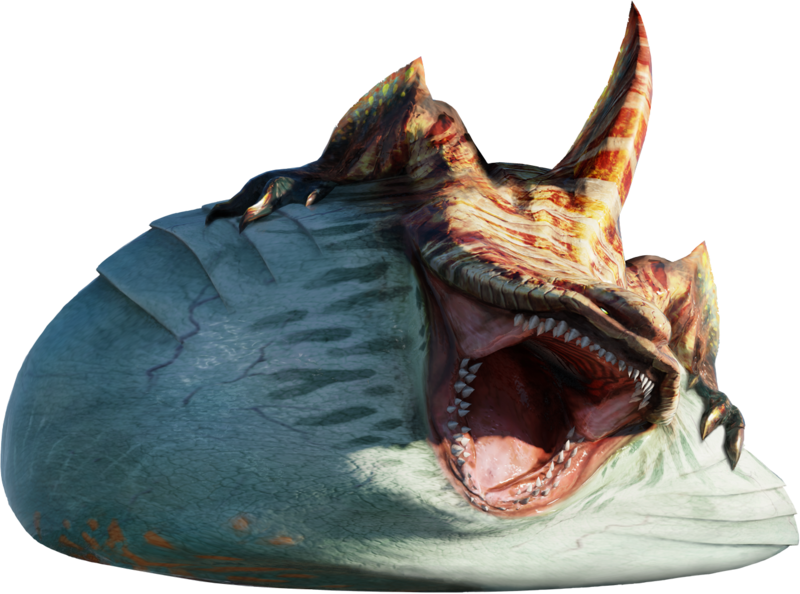 Various monsters have been confirmed to return, most notably Rathalos and Tigrex. - Bases are now mobile 'caravans'; there is no longer one central village players return to. Instead players will follow their caravan around as it goes from village to village. Each village the caravan visits will have different unique features and facilities not available in other villages. 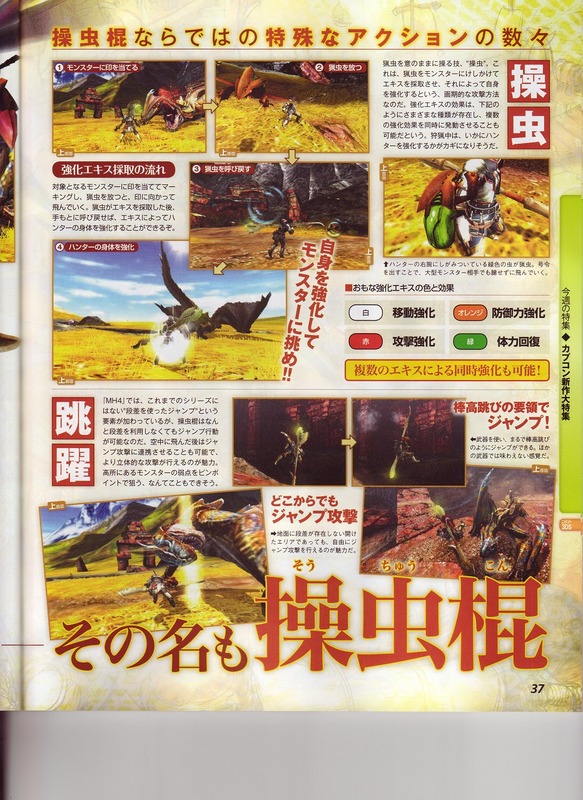 - The game will feature a 'free camera' and will also include the target lock feature that was introduced in MH3G. 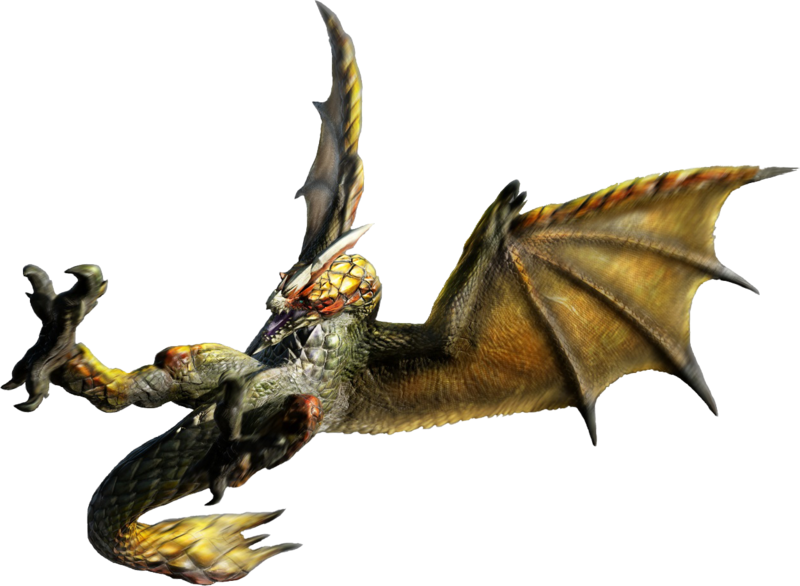 - Altitude is an important factor when fighting monsters since attack patterns change depending on how far above (or below) they are. 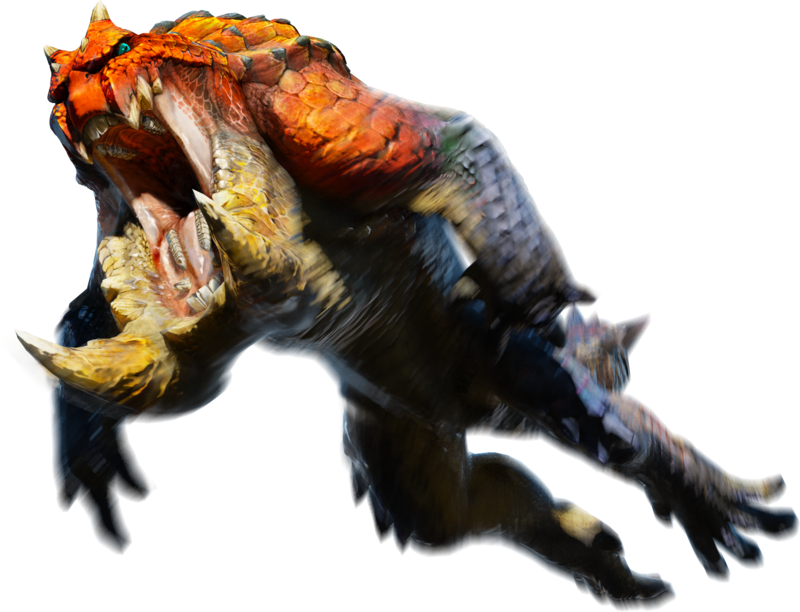 Players will be able to attack using their carving knife whilst climbing, as well as being able to attack mid air and jump onto the back of monsters, stabbing them with their carving knife whilst holding down the R button to hold on as the monster tries to shake the hunter off. 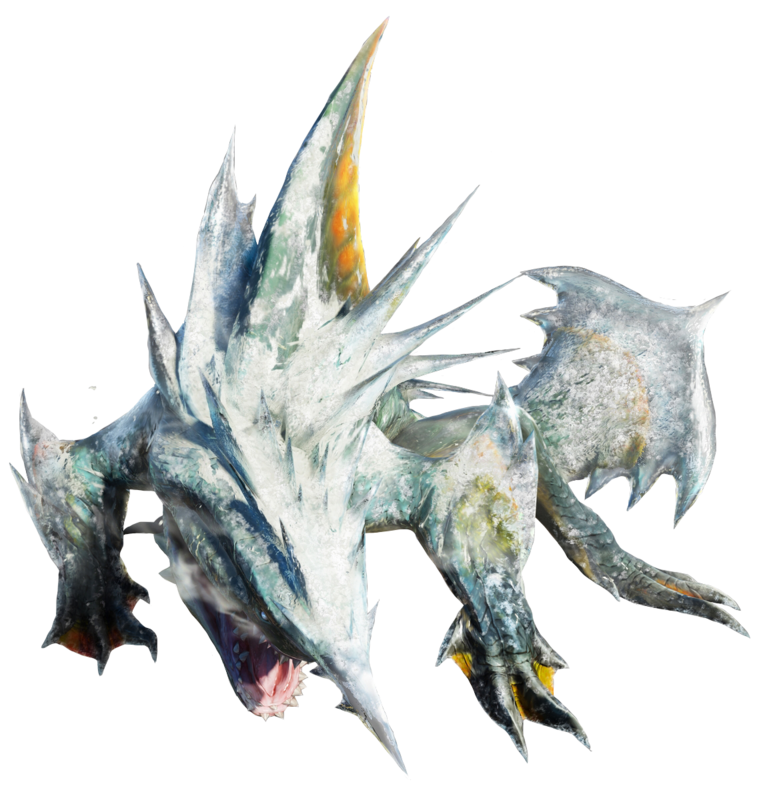 - One of the new monsters, Gore Magala, is spreading a virus called the Feral Wyvern Virus that not only enrages infected monsters, but also appears to be able to revive them after they've apparently died. - The new built-in quest maker feature allows Hunters to explore a new area called the Unknown Forest, then make their adventures into Guild Quests, which can also be shared with friends through StreetPass. 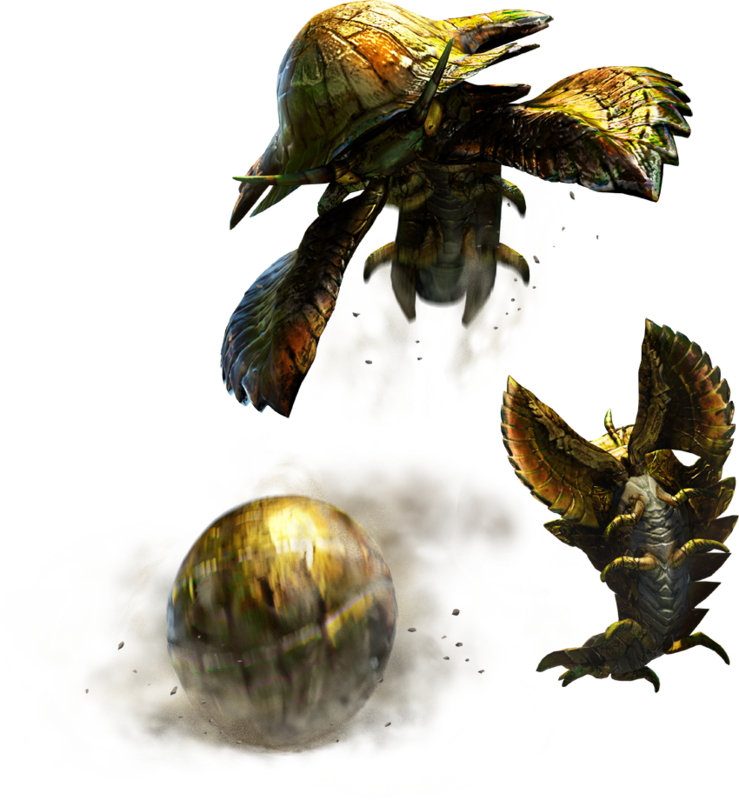 Monster Hunter wiki wrote: The Hunter will take damage when performing certain actions. 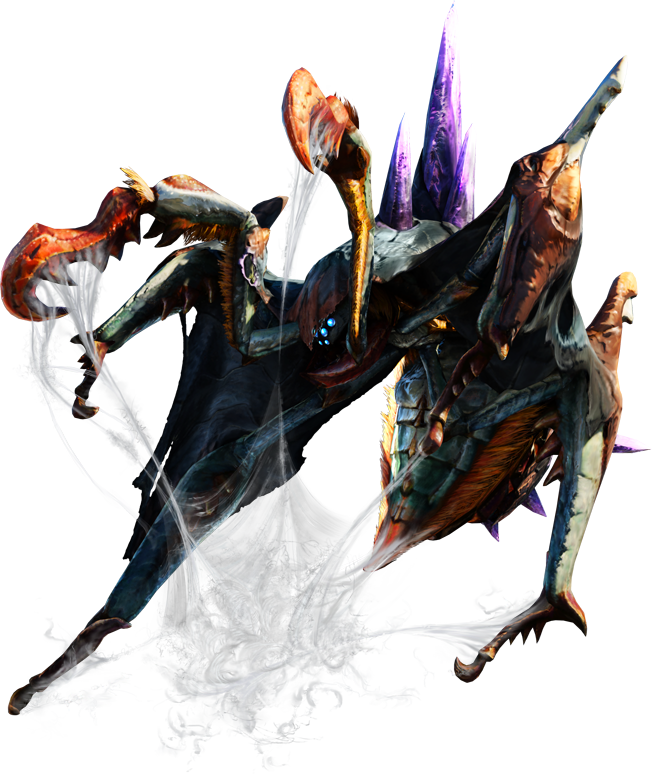 Running, rolling, and attacking will all cause the affected Hunter to take damage due to bleeding. Hunters won’t take damage when walking. Remedy: Well-Done Steak, Mosswine Jerky, or crouch for awhile. Great to see we have somewhere to discuss our monsters . Can you do something similar to the Animal Crossing thread: list any member that has a hunter available and possibly their fave weapon in the OP. So that way if you wanted to contact folks to advise you were online and trying to get a hunt group together you can PM from the list etc. HR: 200, I think? It's been a while. Please note that I haven't played 3U in months and after playing Dark Souls I've also completely lost my grasp on the controls, haha. I really hope we get N3DS in time for 4U. Don't think my launch 3DS will last much longer with me playing Smash. Haven't played 3U regularly since last year, so I forget my exact details for now. What's everybody planning on using once 4U drops? I wanna try out the new weps, and check out the buffs SnS got. Gonna stick with being a jack-of-all-trades sort of deal, but with a definite bias towards the Charge Blade. Everything about it just looks so good. 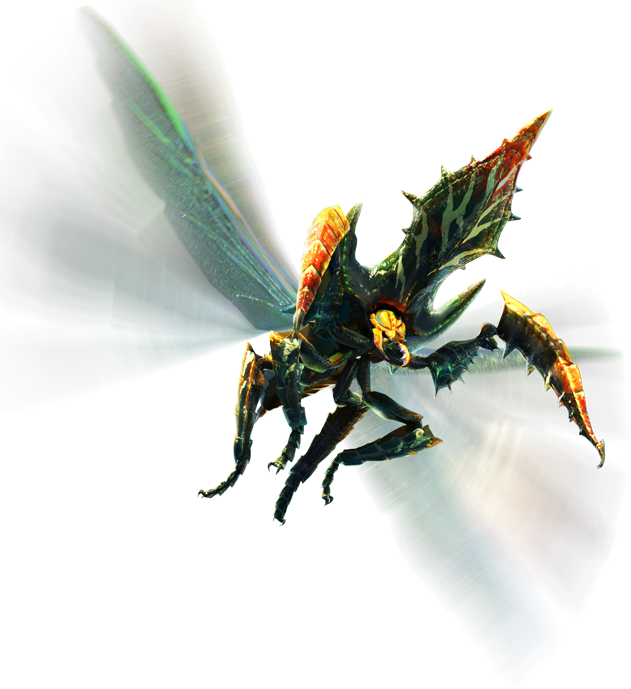 From the moment it was shown, the Insect Glaive. I've wanted a staff style weapon since freedom 2 so it got me pretty hyped once I saw it revealed. 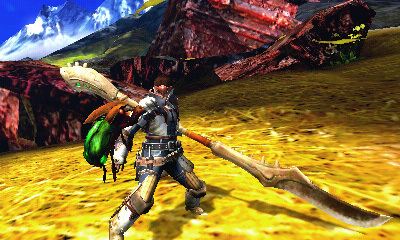 I mainly use Duel Swords, Long Swords and Lances, but with 4U I'm planning to go full Insect Glaive for the first half of the game. That's how hyped I am. Pretty much. Such a shame they missed out online on the 3DS version. Suppose it just makes me more excited for 4U's online, though. Apologies .. I should have known you'd have included that already. What Hr are you ? In 4U I'm going all out on the bugstaff, everything about it just seems so win. I'll probably try out the charge axe too, and as ever I'll be using Long Swords or Dual Swords as the situation dictates. I have Monster Hunter 3 Ultimate on Wii U. I beat Ceadeus and got started on the High Rank quests but I kept dying to the Purple Ludroth and gave up. My playtime was around 60+ hours but I couldn't get good. I started to find grinding monsters for equipment to be a chore when I killed the Lagiacrus 20 or so times for a full set of armour that wasn't even that great. Might go back to it at some point though. Bix wrote: What Hr are you ? Adam wrote: I kept dying to the Purple Ludroth and gave up. You can make poison negate armor, i think it was gigginox or that wroggi thing that gave it. Purple Ludroth is pretty quick though. I understand some folks might not want to put in all the practice that this game requires. 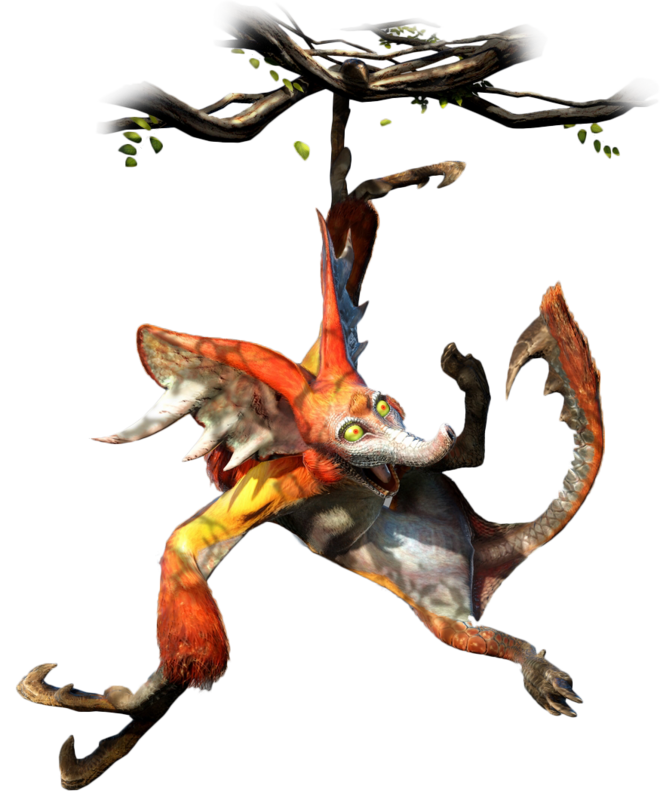 Adam wrote: I have Monster Hunter 3 Ultimate on Wii U. I beat Ceadeus and got started on the High Rank quests but I kept dying to the Purple Ludroth and gave up. My playtime was around 60+ hours but I couldn't get good. Not played in some time but don't waste time trying to farm to many sets in the early game (1 for low rank and 1 for high rank is enough - Wroggi & Rath were what I used) just concentrate on weapon upgrades, monsters don't really hit you hard until you're into g-rank (or the high end 'high rank' village quests). If something is killing you often, you just need to step back and take your time on your hunt and figure out the attacks a monster will do when you're close/far/front/back/side and most importantly if it does any status damage for you to avoid. If some guys here have another hunting event and you can pop along, you'll get some nice help/tips (plus loot). 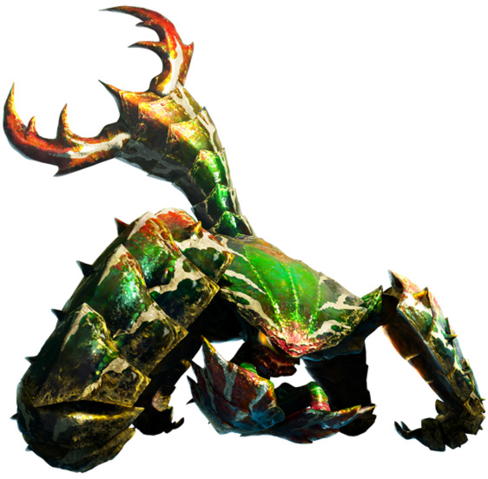 But if you didn't enjoy the 20 kills on Lagi for items I recommend you avoid advancing to the non-story element of g-rank multiplayer. I have some logs of 80+ kills on multiple monsters for some rare pieces...which doesn't sound like you'd enjoy Everything before that though is fairly easy and not necessary to grind out. Almost certain we will be getting MH4 news from the Direct tonight right? Hopefully a release date and a nice N3DS bundle to boot. 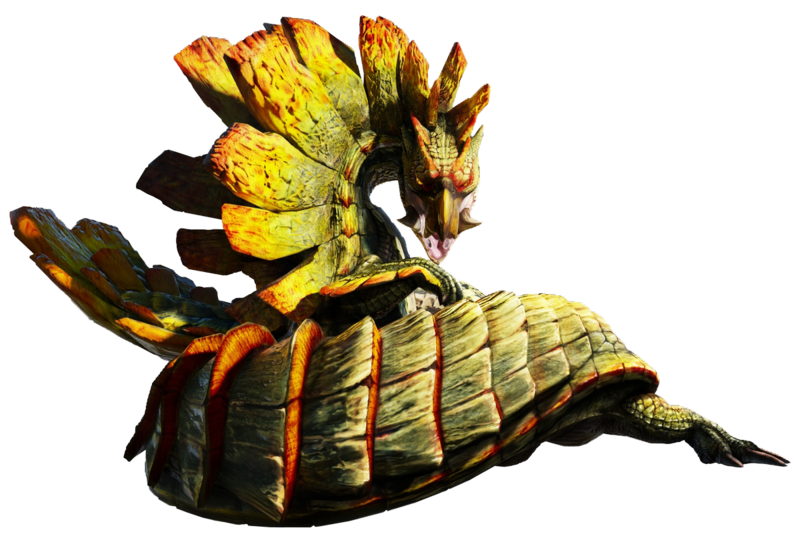 I should get the new Monster Hunter when it comes out. Not played properly since Freedom Unite - I had Tri on Wii but couldn't get into it. Felt too weird being on console with decent controls.